Tiger Sheds Replacement Heavy Duty Green Mineral Felt for Additional Protection. Cut to the Shed Sizes. Happy with the green mineral shed felt which was delivered on time. Many thanks for your good customer service. Excellent advice and service throughout my dealings with this firm. Sales, admin and delivery team all pleasant and knowledgeable. Product great and good value. Thanks. Highly recommended. 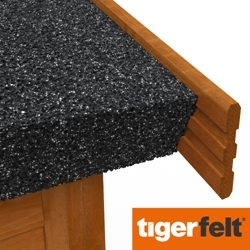 Tiger Sheds Replacement Heavy Duty Green Mineral Felt is a green slate surfaced top layer, for use as the cap sheet to a multi-layer system or a single layer on shed roofs. Our strong and durable green mineral felt is perfect for protecting and weatherproofing the roof of your garden shed or workshop. It can be easily fixed to the roof of your shed using clout nails. 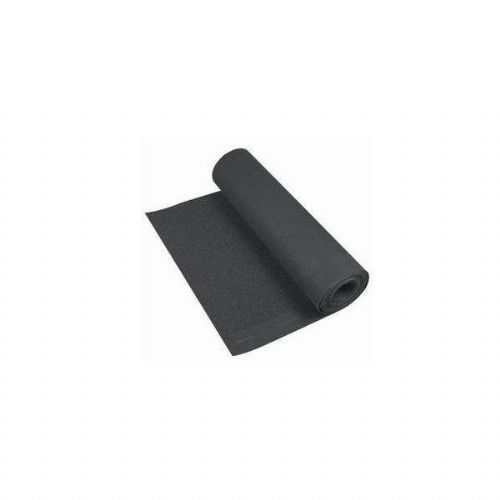 This green mineral felt has a fine finish with prevents mineral seperation during cold temperatures when the felt has been bent over the apex of a shed. Perfect for use on all non-habitable buildings.